A place mentioned in Cant. viii. 11, in which passage Solomon is said to have had a vineyard there: its identity is unknown. 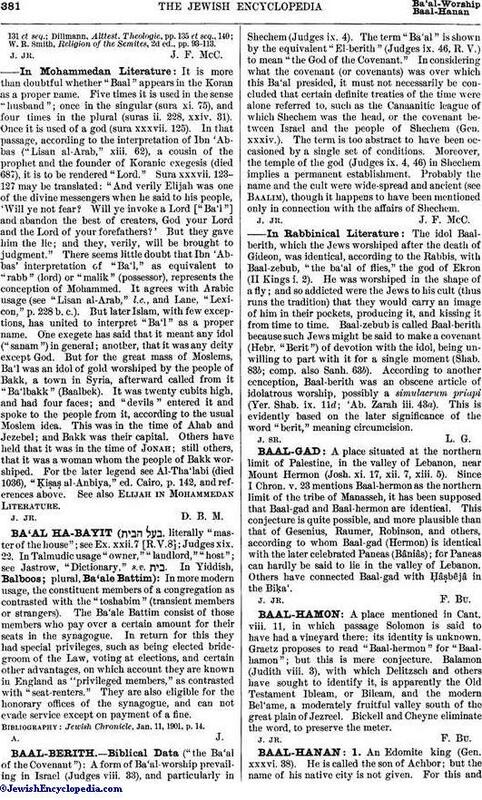 Graetz proposes to read "Baal-hermon" for "Baalhamon"; but this is mere conjecture. Balamon (Judith viii. 3), with which Delitzsch and others have sought to identify it, is apparently the Old Testament Ibleam, or Bileam, and the modern Bel'ame, a moderately fruitful valley south of the great plain of Jezreel. Bickell and Cheyne eliminate the word, to preserve the meter.